The early 1800s was a watershed era for the vintners of Portugal’s Douro Valley, On one hand, the grape harvest of 1820, after fermenting and aging for four years, presented connoisseurs with a wine of remarkable sweetness, with “plenty of crust and plenty of color…and a well-stained cork,” according to T.G. Shaw, who recorded his views in Wine, the Vine, and the Cellar (1863), The remarkable vintage established Portuguese wine as a favorite among the British. 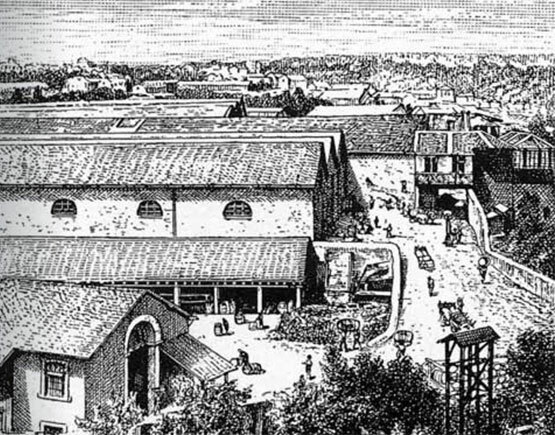 In 1798 a Portuguese merchant called Bruno da Silva arrived in London to see what business he might be able to open up with his native city of Oporto, and so started the wine-importing concern which fifty years later became Silva & Cosens when Mr Bruno's son John Silva joined partnership with William Cosens, also of London. In the early part of the 19th century when England and France were continually at war, Bruno da Silva applied for ‘letters of Marque’, equipped a privateer carrying nine guns, and carried safely many consignments of wines from Oporto to Bristol and London. In 1868 George A. Warre, from one of the most established British families in Oporto, became a partner and was subsequently joined by James Ramsay Dow in 1877, when the firm of Dow & Co. was merged with Silva & Cosens (the firm of Messrs. Dow & Co was first known in the early part of the eighteenth century as Samuel Weaver and later Weaver & Dow). The name Dow's came in to existence in 1877 when James Dow became a partner in the company Rodrick Dow became a partner in 1893 by which time Silva & Cosens had become one of the largest Port wine shipping houses in Oporto. Messrs. Dow & Co. had long enjoyed a good reputation for the shipment of quality wines, in particular Vintage Port, and so it was about this time that the decision was taken to make Dow the House Brand of the company. During this period the company started a rapid expansion programme under the dynamic management of the combined firms. This resulted in the planting of the vineyards and the building of the adega at Quinta do Bomfim situated in the heart of the Upper Douro. A. J. Symington was admitted into the partnership in 1912 and was later followed by his three sons who managed the business through the two world wars. They were then joined by their own sons and today the company is managed by the fourth generation of the Symington family. Today Silva & Cosens forms part of the Symington group. The single biggest part being shipped under the Dow's name In 1998, the Bicentenary of the founding of the company, a new milestone was reached with the re-acquisition of Quinta da Senhora da Ribeira. This outstanding property was originally acquired by Dow's in 1890, but was sold in 1954 when the Port trade was at its lowest point and when many Port companies either closed down or were sold. Dow's wines are made in a drier style which is not to everyone's taste, but have magnificent ageing potential and they do need to be aged in order to appreciate their real potential. The 'jewel in the crown' is the Quinta do Bomfim vineyard (meaning ‘good end’) was purchased in 1896 by George Warre at a time when he thought that a shipper should take a closer interest in the production of Port, a move that was somewhat unconventional at the time. A single quinta wine was launched in 1988 with the 1978 vintage. Quinta do Bomfim Vintage Port is only produced in ‘un-declared’ years, as in Vintage years the wine from this quinta goes to produce the core of Dow’s vintage port. However, during the 1960s and the 1970s Dow had special delivery to Fredrikbergs Vinimport in Denmark of Quinta do Bomfim and thus in Denmark both Quinta do Bomfim and Dow existed from the same vintage in at least following vintages: 1966, 1970, 1972, 1975, 1977 and 1980. This quinta takes its name from the little chapel between the quinta house and the river, and was originally acquired by Dow's in 1890. By the end of the nineteenth century it was one of a trio of top-quality wine Estates. 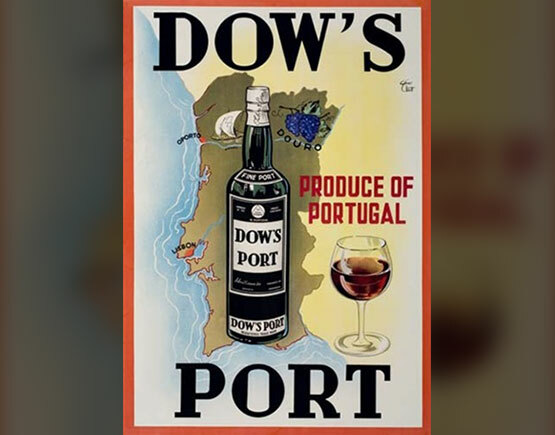 Dow's was a substantial owner of Douro vineyards long before most Port shippers were involved in viticulture or winemaking. The Quinta was sold in 1954, when the Port trade was at its lowest point – a time when many Port companies were either closed down or sold. But the link was not entirely lost because the Ribeira grapes were bought and vinified by Dow's, continuing to play a fundamental part in its Vintage Ports for most of the century. To the family's great delight, the opportunity to buy back Senhora da Ribeira arose in 1998, Dow's Bicentennial year. This new state of the art winery was officially inaugurated by the Minister of Agriculture, Sr. Eng. Fernando Gomes da Silva on 15th September 1997. The design of the winery was conceived by Peter Symington, his son Charles and António Serôdio. 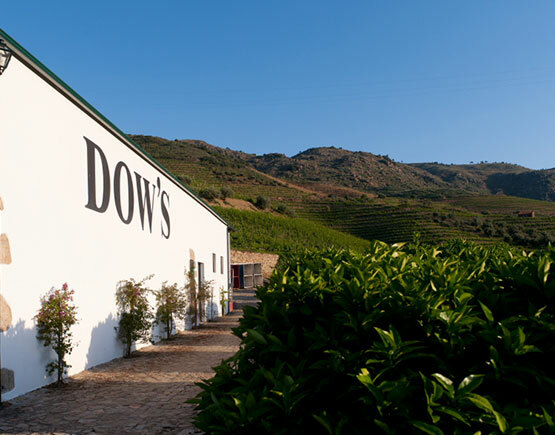 Founded in 1798 over two centuries ago, Dow’s was the first British Port producer to invest extensively in premium vineyards, acquiring Quinta da Senhora da Ribeira in 1890 and Quinta do Bomfim in 1896. These superb vineyards are fundamental to the outstanding reputation that Dow’s has long enjoyed. In 1912, Andrew James Symington became a partner in Dow’s, and today six members of the family own and work in the company; Peter, Paul, Johnny, Dominic, Rupert, and Charles. The family personally manages all aspects of winemaking from vineyard to the final bottling of the wine. The Symingtons can trace their ancestors as Port producers back four generations to Andrew James Symington who came to Oporto in 1882, but back thirteen generations through their great grandmother, Beatrice Atkinson, to Walter Maynard who shipped 39 pipes (Barrel of Spanish Oak, a volume of appr. 600 liters) of Port in 1652. A unique record in the history of Port. Dow’s Vintage Ports are powerful and austere when young. They age superbly with high purity of style. Dow’s has a firm tannic structure with spicy black-pepper and bitter chocolate flavors. The aromas are of violets when young, maturing into cinnamon with age. Dow’s Vintage Ports develop a superb racy elegance with maturity. Dows’ Vintage Port style particularly suits the years when the grapes are very ripe and generous. While other Ports become over-sweet in these years, Dows’ balances the richness with its characteristic dryness. The exquisite Dow 1896 is a legendary Vintage Port, together with the Dow 1900, 1908, 1927 and 1945, they are amongst the greatest Ports ever made. More recently Dow’s 1955, 1966, 1980 & 2003 have further enhanced the company’s fame and are some of the very most excellent wines produced in these years. 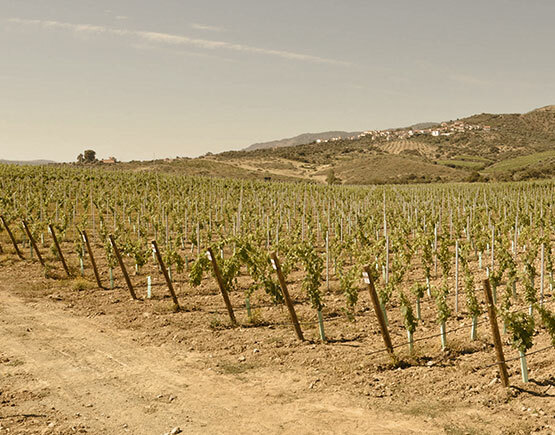 Dow’s has five of the most beautiful vineyards in the Douro valley – Quinta do Bomfim, Quinta da Senhora da Ribeira, Quinta do Santinho, Quinta de Cerdeira, and Quinta da Fonte Branca– with a total of 133 hectares under vine. These five estates form the backbone of Dow’s greatest Ports. Three wineries, two large ‘state of the art’ wineries at Bomfim and Sol and one small ‘specialist’ winery at Senhora da Ribeira, permit Dow’s to be the largest buyer of premium quality grapes in the Douro and represent a unique investment in diversified and specialized winemaking for the pursuit of quality. In 2002, Dow introduced a radical new Port ‘Midnight’, a special blend of fresh, full-bodied and fruit drove wines. Midnight’s new and radical label was designed to appeal to the new generation of wine drinkers and to change people’s perceptions of Port. Dow’s is a critical innovator in winemaking technology, having pioneered the design and production of the unique robotic lagares. 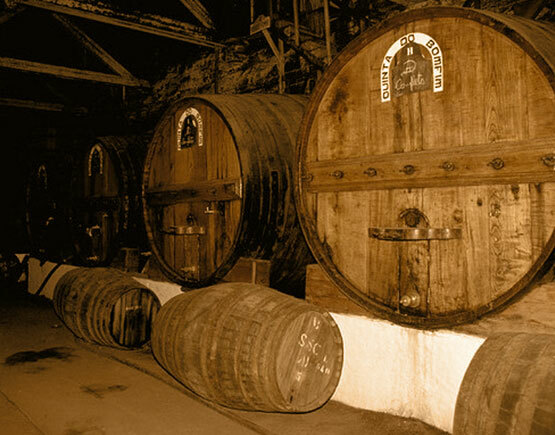 The wines for over two hundred years Dow’s Ports with their distinctive dry finish are some of the finest ever produced.